Now you can create the perfect budget for your wedding day. Everyone knows that your wedding is one of the most important days in your life. You need to make sure you have the means to make this day magical. If you lose track of the amount you’re spending on flowers, catering, or music then you’re bound to lose something that will make your wedding day shine. 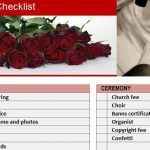 The Perfect Wedding Day Budget can help you keep track of the different aspects of your wedding and monitor exactly how much you’re spending on a certain item. Don’t waste another minute; get this free template today and plan your perfect wedding! The document is free to download at the bottom of this screen. Simply click the link provided below to get started! 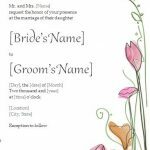 With the template open, go through the tables and edit or add anything that will be included in your wedding. At the top of each table, you’ll notice that there are different titles to indicate the types of expenses associated with a wedding. To change any of the pre-written items, simply click the cell you wish to change and enter the appropriate information instead. Each table has to section to enter your amounts. In the “Estimated” column, simply enter the amount you want to limit yourself for that unique wedding item. In the next column over, simply write the actual amount you spent. 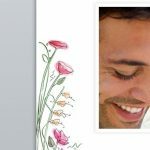 In wedding template will show you the difference in the “Over/Under” column. At the bottom of every table, there will be a calculated total for that entire category. When all your information has been entered, scroll to the top to see a complete expense overview and a graph that displays all this information as well. 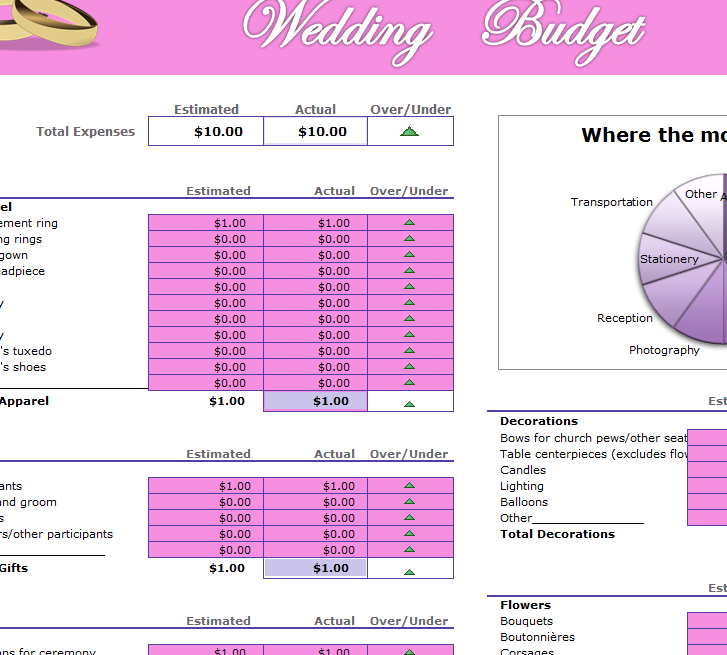 You no longer have to worry about going over budget for your wedding. You can use your money in a way that works for you. Instead of spending too much on your venue, you can have some talented musicians play. Anything and everything you want to change about your wedding to make this day truly magical, you can change and adapt quickly and efficiently using this one-stop wedding template!